Add Front End Protection and Style !!! 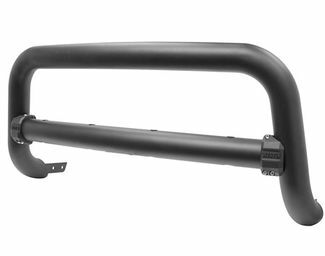 Add an Aries bull bar to the front end of your truck or suv to protect it from whatever the road throws at you. Most applications require no drilling and install within 30 to 60 minutes. Available in stainless steel and black powder coated. A bull bar is an accessory for your vehicle that mounts to the front of your truck. 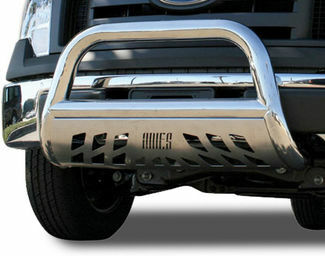 This accessory makes your truck look rugged and can also make it safer in the result of a crash. The bull bars we sell come in either a 4 inch or a 3 inch diameter. Aries bull bars come ready to install and requires no holes to drill into your truck or the bar. 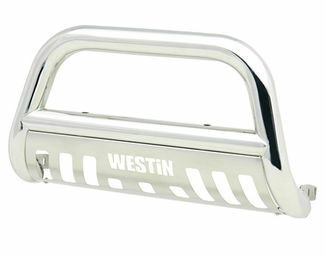 You can purchase a bull bar in either stainless steel or in black. The bull bars come with a limited time lifetime warranty. The Aries sport bars are primarily made for smaller suvs instead of big truck. The sport bar comes ready to install to your vehicle, there are no drill holes required to install this accessory to your car. The bar comes in a 2.5 diameter bar. The sport bars are promised to have lasting durability, these bars come with a limited lifetime warranty also. 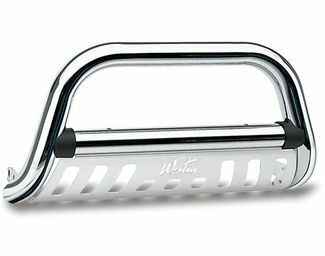 The sport bars only come in a stainless steel unlike the bull bars which can come in black.